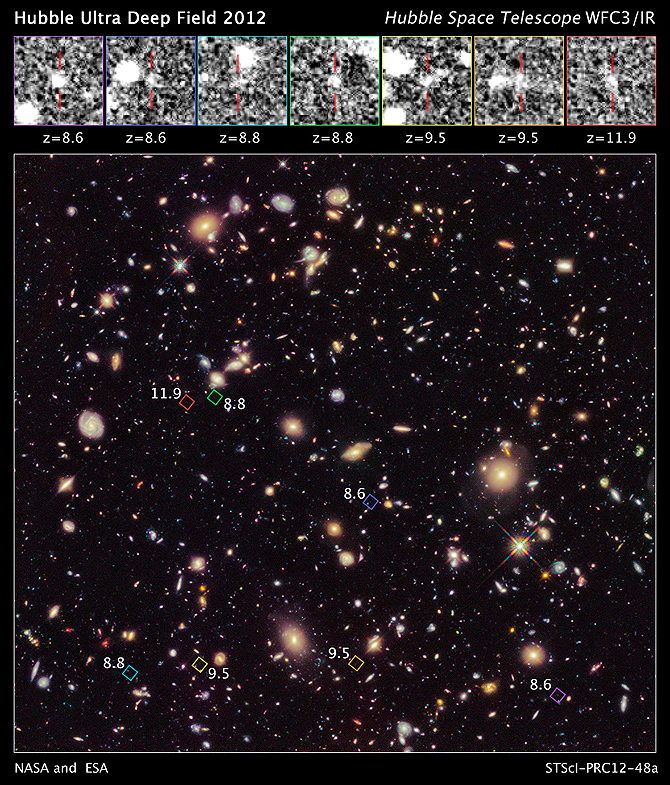 The oldest galaxy in Hubble ultra deep field image is the one with z= 11.9 which is 380 million years after the Big Bang. 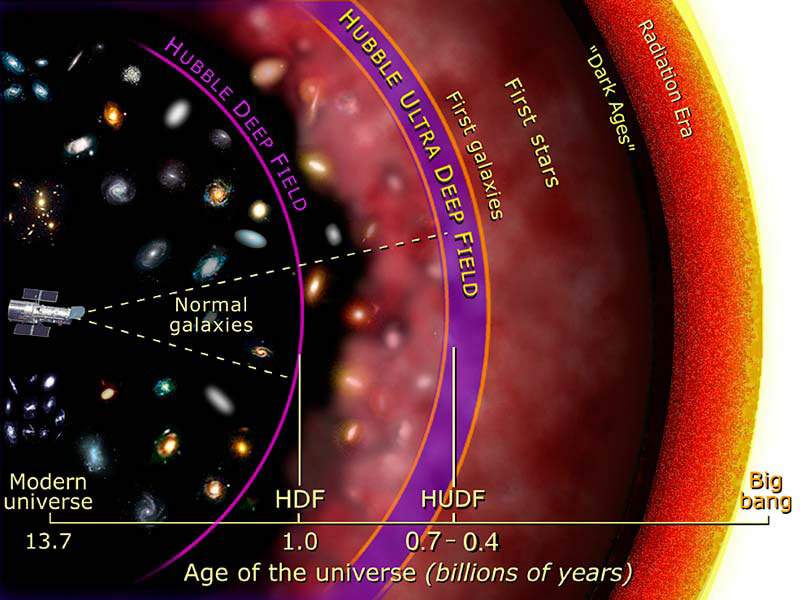 When looking at the background cosmic radiation or the left over radiation from the birth of the universe it has a redshift of z= 1089 or 389,000 years after the Big Bang! 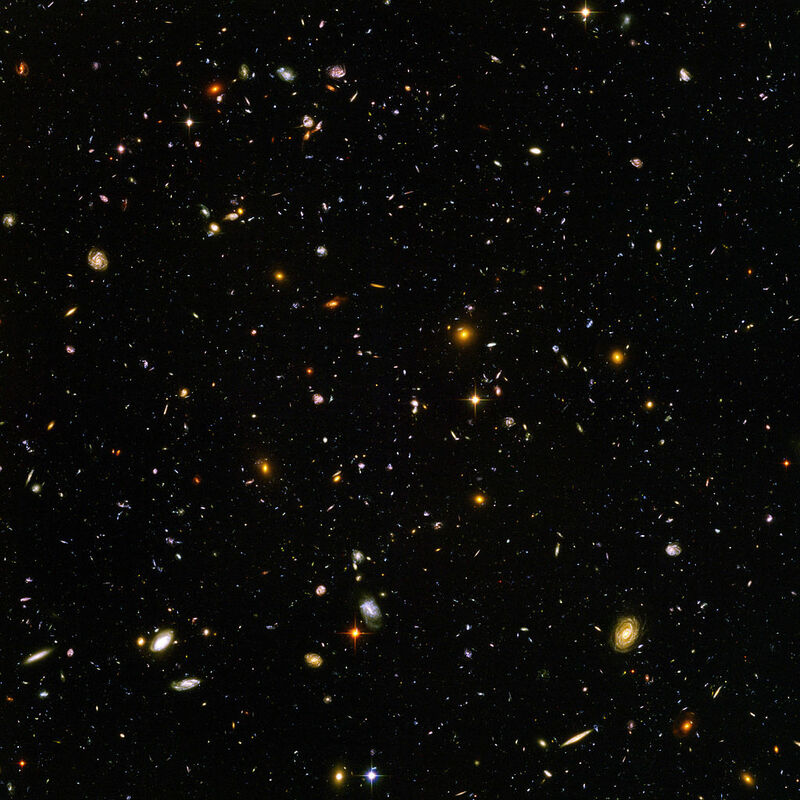 Hubble is an extraordinary piece of equipment that will go down as one of mankind’s most important instrument. However with technology getting better and with the James Space Webb Telescope on it’s way in the coming years we will be able to see even further back into history and understand our beautiful universe.